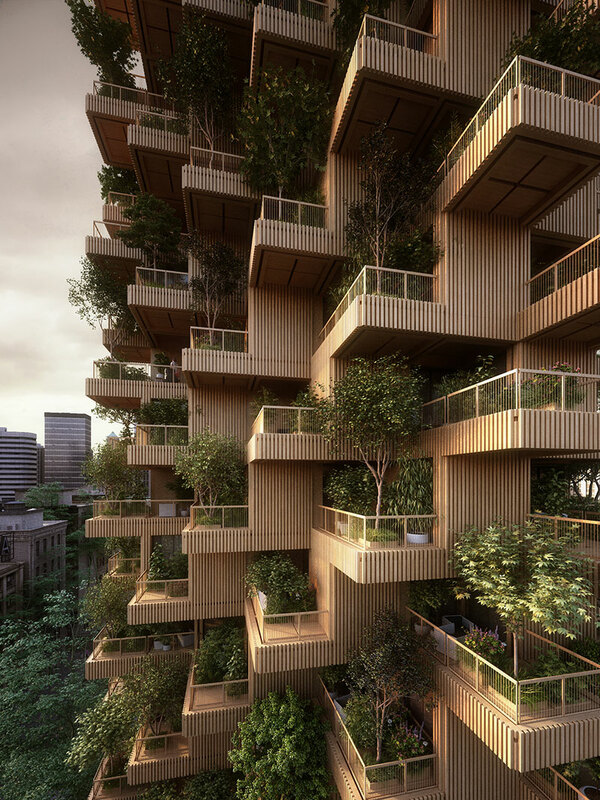 The Toronto Tree Tower project is an 18-storey residential block that would stand 62 metres tall with a modular structure made from cross-laminated timber (CLT) proposed by Penda architects in collaboration with Canadian company Tmber. 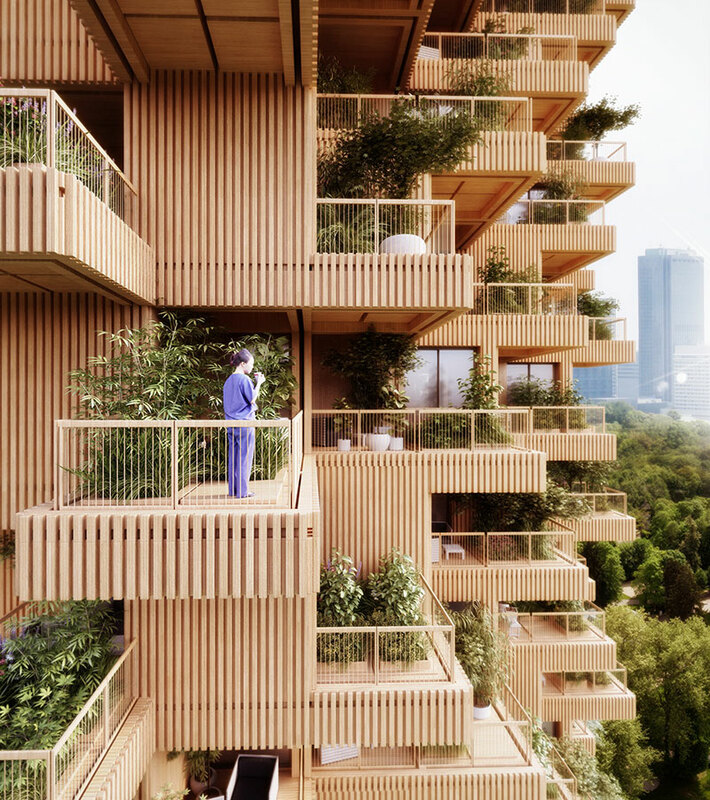 The tower comprises of 4500 sqm of residential areas and 550 sqm of public areas with a cafe, a children’s daycare center and community workshops. 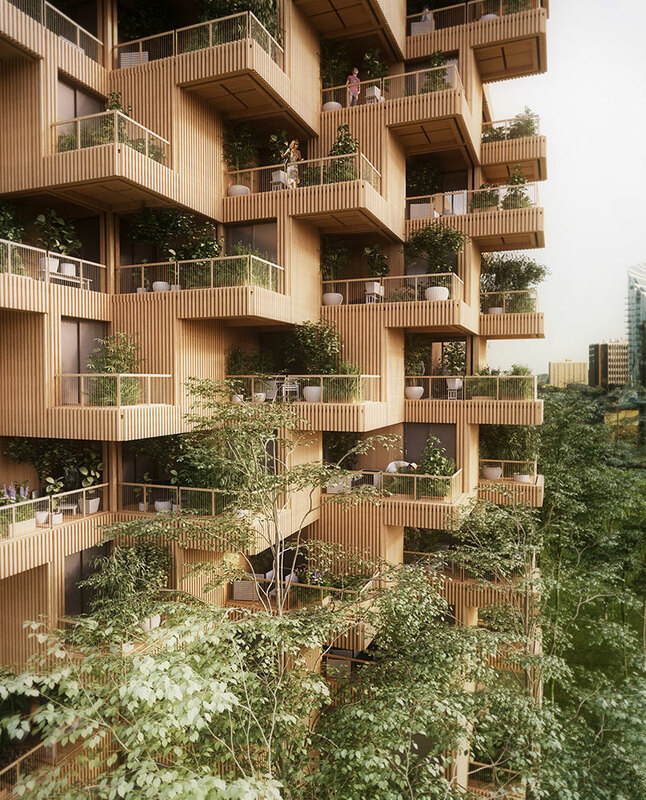 The key element of the project is to communicate the project’s innovative use of wood and engineered wood technology used in the building. 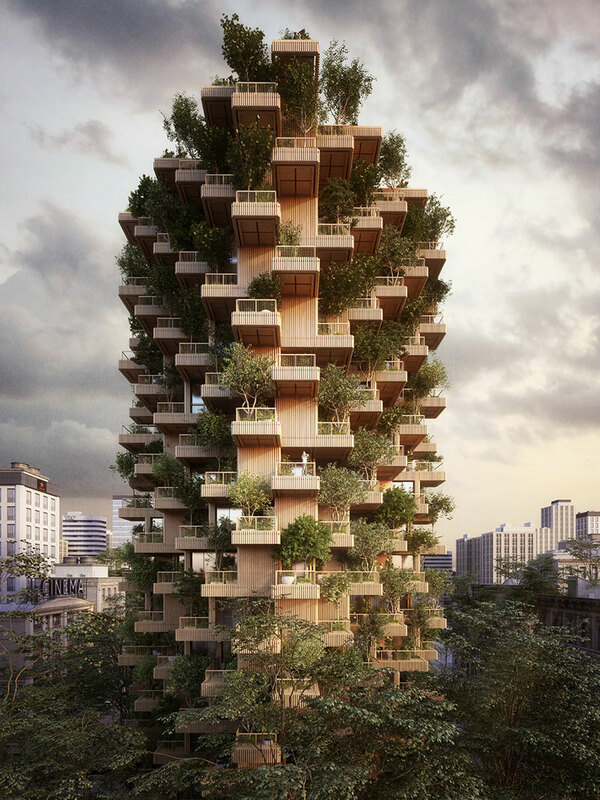 Despite the use of wood as a structural and cladding material, trees and plants are also a key component on the buildings facade. 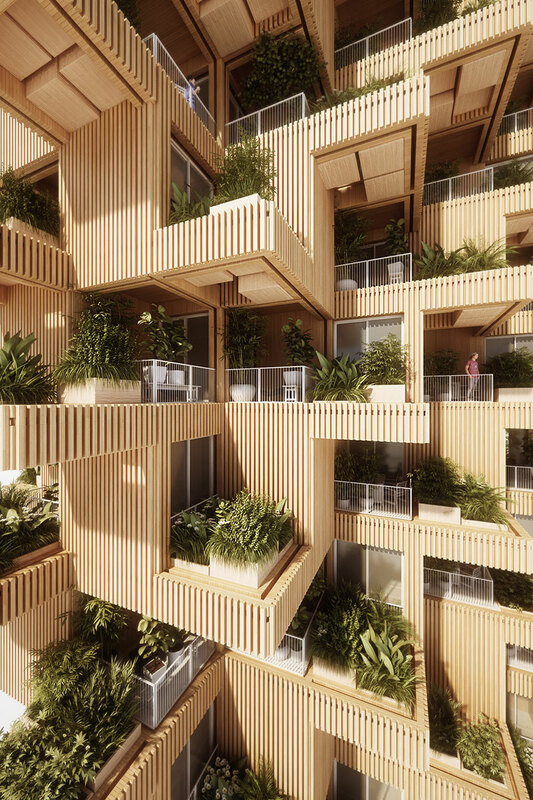 Large outdoor areas provide a space for herb and vegetable planters for the residents, which not only creates a certain degree of privacy within the density of the city but also helps keep the temperature low on warm days. 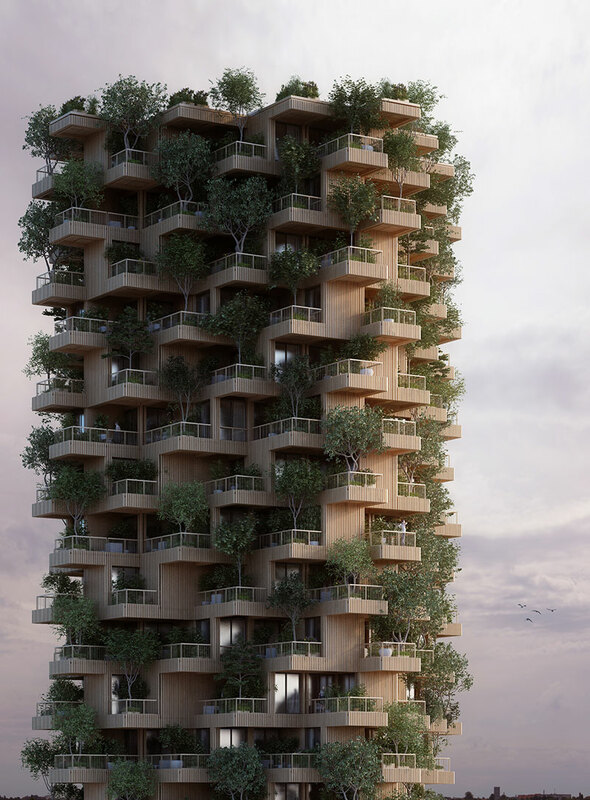 See more of this project on Behance. 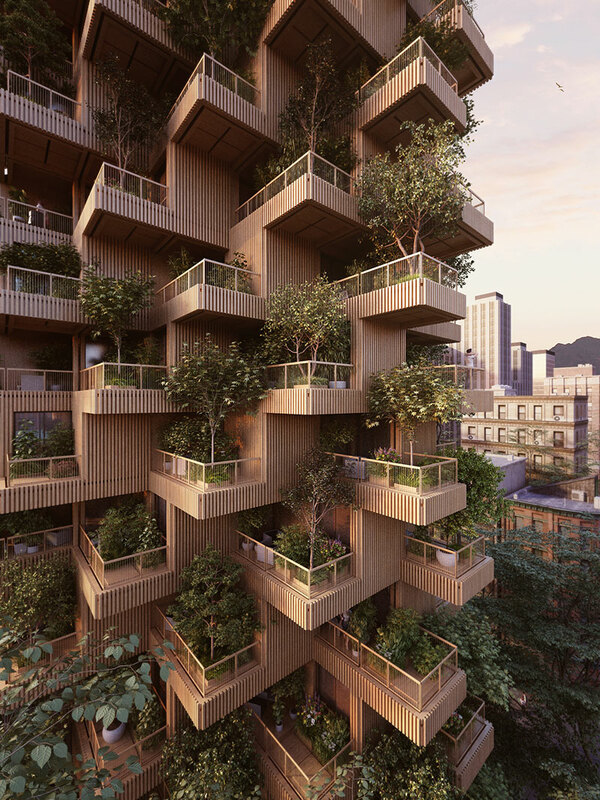 The Toronto Tree Tower project is an 18-storey residential block that would stand 62 metres tall with a modular structure made from cross-laminated timber (CLT) proposed by Penda architects in collaboration with Canadian company Tmber.